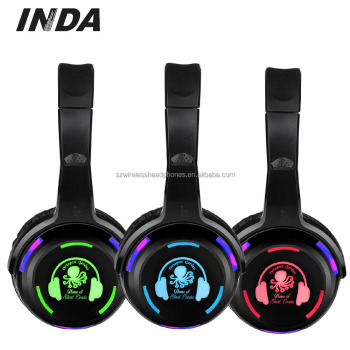 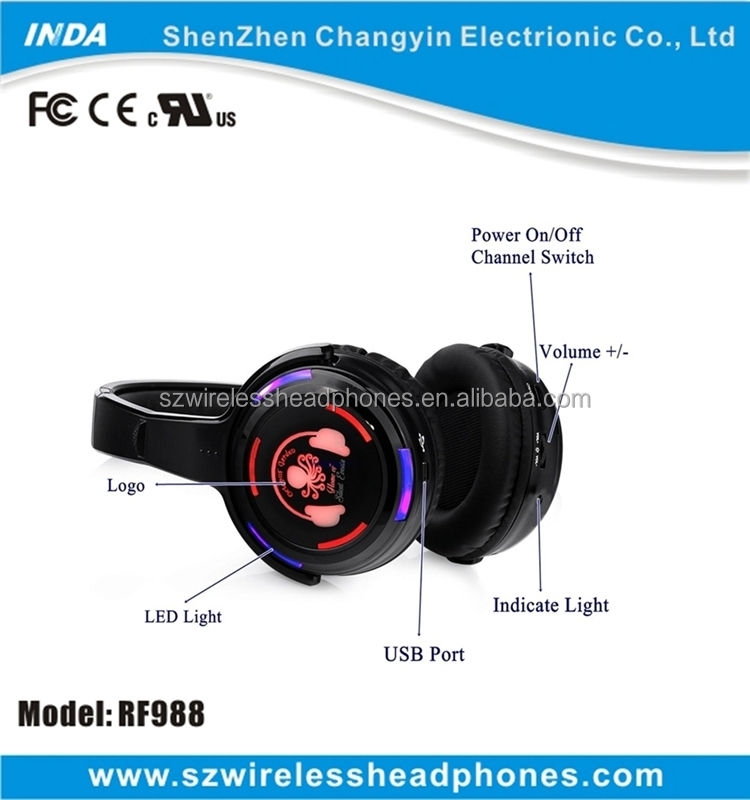 The RF988 is UHF stereo wireless headphone used for TV/PC/MP3 and silent party,dynamic display with LED lighting according to music rhythm,built in lithium battery for rechargeable. 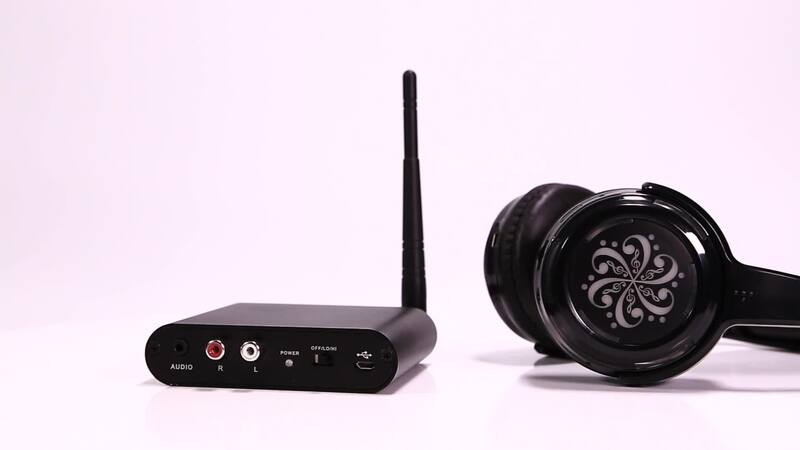 It have long distance for transmitting and receving music. 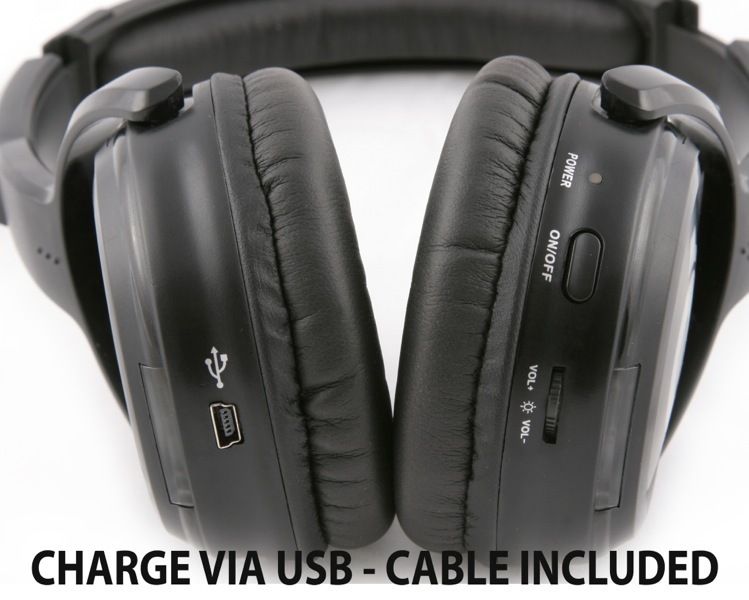 8.Power supply of headphone: Built-in 600MHA lithium battery.